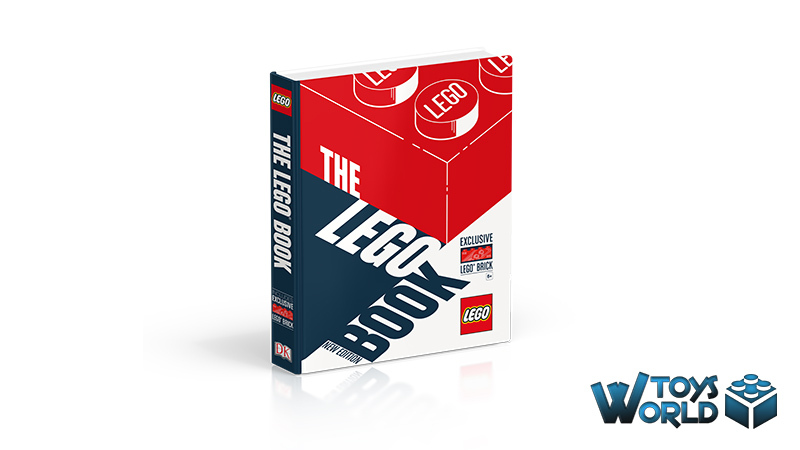 Created in full collaboration with the LEGO Group, The LEGO® Book is a treasure trove for LEGO fans of all ages – and this very special edition comes with an exclusive 60th anniversary printed brick. Just before Christmas, something arrived in the ToysWorld office that we simply haven’t been able to put down. 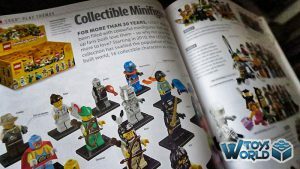 The LEGO Book (New Edition) was released back in October, and it is crammed full of things that will bring a smile to the face of any LEGO lover. The LEGO Story charts the history of the company, right back to 1916. 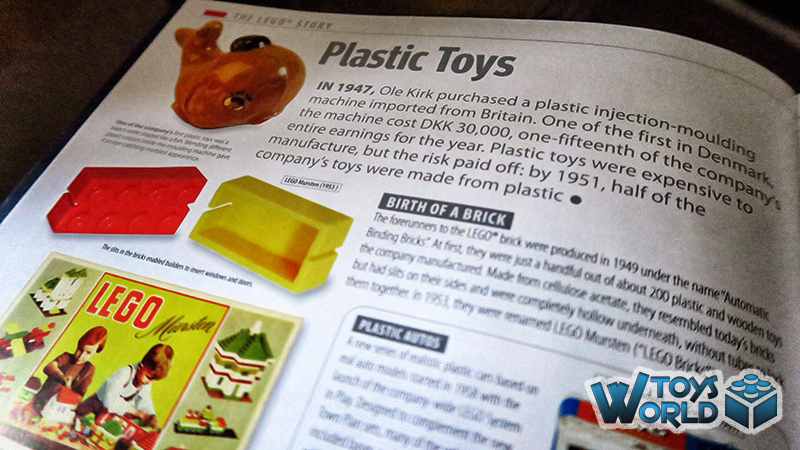 It shows their first products in the 1930’s where they produced wooden toys; from yo-yos, to pull-along animals, right through to 1947 when they began producing plastic toys. 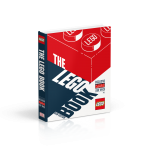 It goes on to show you some of the very early sets, as well as the branding, how LEGO is made, timelines of some key moments and elements in its history, and even a potted history of the LEGO Minifigure. LEGO Play Themes explores the introduction of themed sets in the 1970s, and how some of the themes that are just as popular today, have evolved over the years. We particularly love the ‘Sets to Remember’ pages that display the box art for some of the iconic releases over the years. 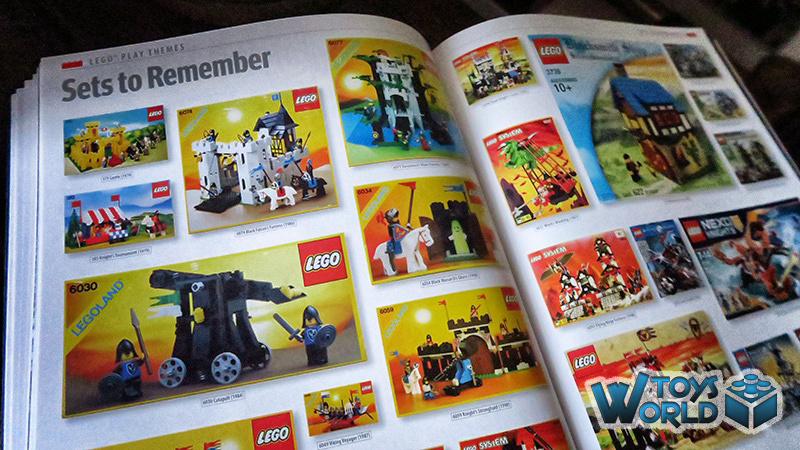 Pages 74 & 75 brought back a lot of memories in particular, as they feature some of the LEGO Castle range that I grew up with. Pages 130-135 are filled with guides to the Minifugure series – right up to Series 17 and 2018’s ‘Party Time’ theme. A LEGO World looks at the company’s reach across the globe, and the overall phemomenon of the product itself. 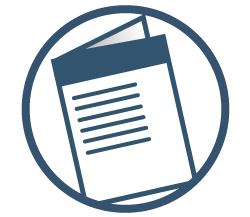 This includes the various LEGOLAND parks, the stores, houses, games and video games, as well as the fan builders and LEGO in education. 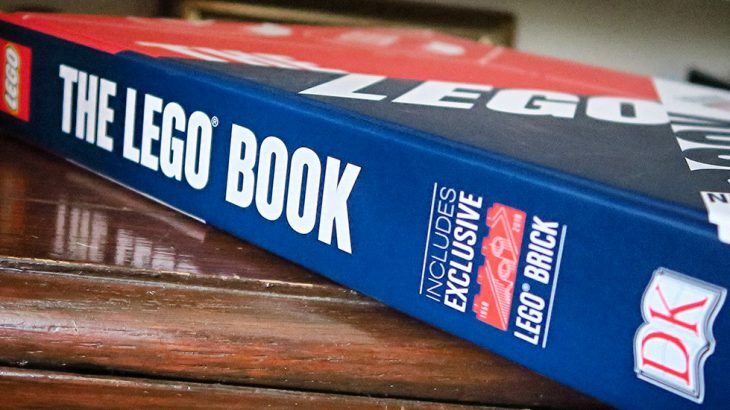 I thoroughly adored The LEGO Book, and the great thing is it isn’t just a ‘read and put back on the bookshelf’ type of book – this is a coffee table book; something you WANT to display and have out, and look through regularly. Watch as your friends and family pick it up and discover something they remember from their past – it’s lovely to see! If that wasn’t enough, you also get an exclusive, commemorative ‘1958-2018’ LEGO brick to keep. The housing for the brick actually makes up for nearly 50% of the book’s thickness, but, in turn, makes the whole thing feel more sturdy and substantial. 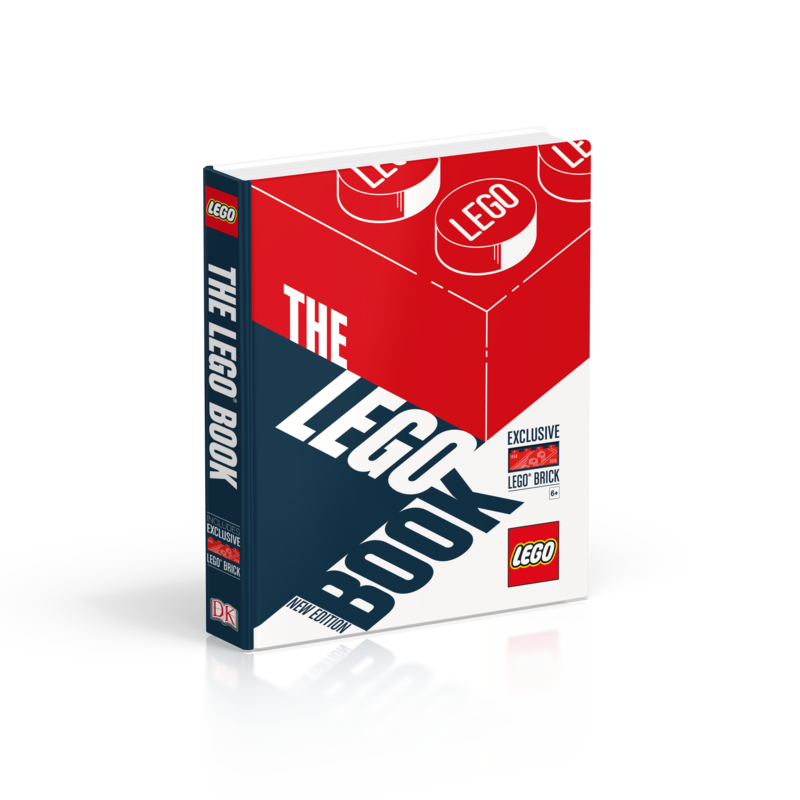 If you didn’t get it under the tree for Christmas, then we emplore you to go out and treat yourself to The LEGO Book at your earliest convenience! + Click Here to buy ‘The LEGO Book (New Edition)‘ set from Amazon.co.uk for £11.26! 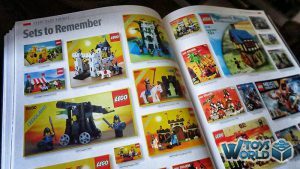 Books & Publications, LEGO 1916, 2018, Book, Books, LEGO, THE LEGO Book. permalink.